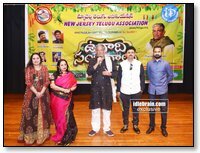 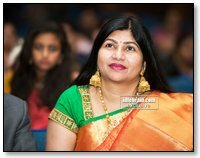 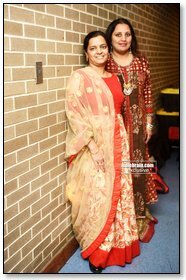 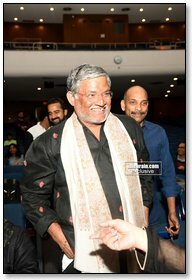 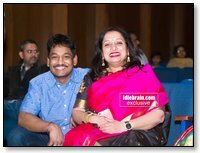 NJTA celebrated Vilambi Samvastara Ugadi Sambaralu in a Grand Style on March 24th at Plainfield High School, Plainfield, New Jersey with Dynamic Multi-Faceted Tollywood character Actor and writer Tanikella Bharani Garu as the Chief Guest. 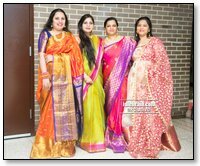 In a very festive atmosphere, with over 1200 people in attendance, the evening true to spirit of Ugadi started with Panchanga Sravanam, and included Uagdi Pacchadi and delicious Vindu Bhojanam. 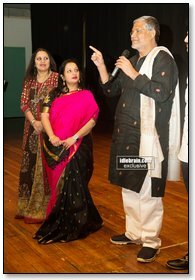 Extremely talented Sri Bharani Garu is actor, screenwriter, dialogue writer, poet, theatre actor, playwright and director predominantly in Telugu cinema. 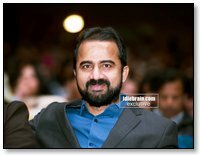 He has worked in more than 750 films (Including Tamil, Kannada and Hindi). 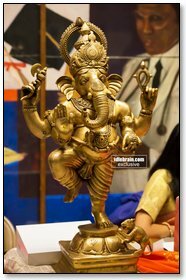 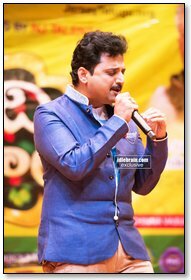 He has garnered three Andhra Pradesh State Nandi Awards. 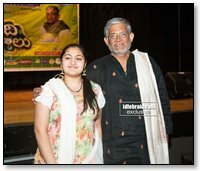 He kept the audience spellbound by his simplicity and friendly nature. 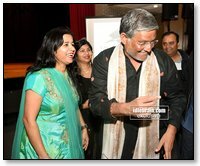 He interacted with all the audiences via a question and answers session. 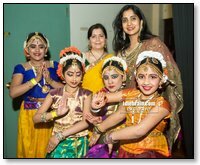 Local Dance and Music schools children performed various classical and semi-classical dances and songs. 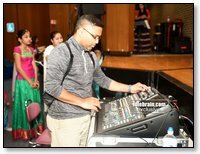 Children participated very enthusiastically and impressed the audience. 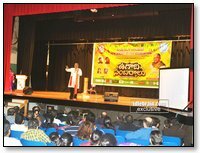 Comedian Siva Reddy had the audience in splits with his comedy act and mimicry. 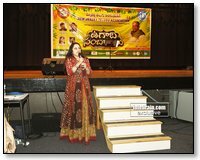 Singer Music Director Sri.Parthu Nemani Garu sang various movie songs and entertained until midnight. 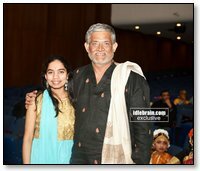 Our own Aditi Bhavaraju and Shruti Nanduri sang few duets with him. 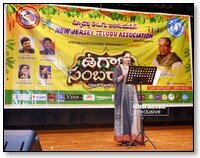 Later, NJTA committee consisting of Chinna Vasudeva Reddy, Mohan Pendyala, Manju Bhargava, Swathi Atluri, Veni Chinna, Anuradha Arun, Bindu Madiraju Usha Ravilla, Srikanth Soudgam felicitated Smt & Sri Tanikella Bharani Garu. 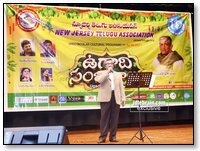 , Parthu Nemani Garu and Siva Reddy Garu on stage in presence of all the local community leaders and NJTA supporters. 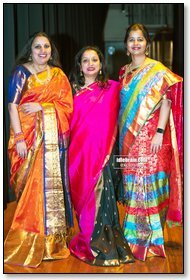 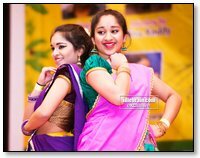 Overall the Ugadi Sambaralu were a grand success with the entire show being jam packed with the audience of over 1200 people and nonstop entertainment until midnight. 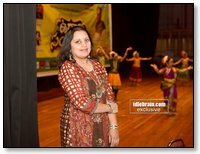 Another unique feature for this event were the cultural competitions- Music and Dance conducted by NJTA. 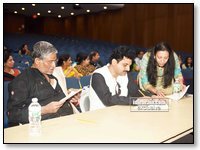 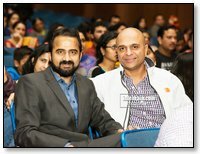 Parthu Nemani Garu and Bharani Garu patiently rendered judgment to the singing competitions consisting of over 50 participants. 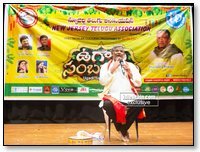 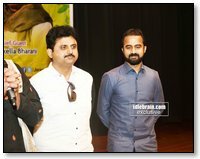 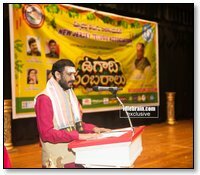 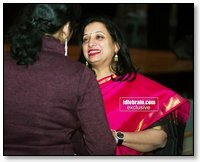 Speaking to them, Bharani Garu expressed his admiration to the Telugu NRIs for keeping the Telugu Culture alive and vibrant by imbibing fine arts to the youth. 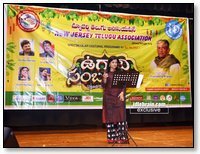 Now, NJTA is gearing up for a Annamayya Jayanthi Festival in partnership with Sai Datta Peetam on April 29,2018, Vegesna foundation in the month of May and for Parthu Nemani’s Semi Classical and Film music classes in the second week of July. 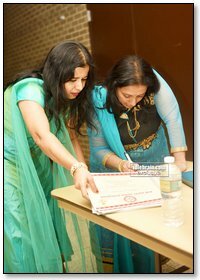 NJTA continues to grow and is moving towards new horizons.